At Ashtanga Yoga Boston, we welcome beginners. Our Intro to Ashtanga workshop is an excellent (though not the only) way to start an Ashtanga practice. Participants are guided through the Ashtanga yoga Primary series, with an emphasis on correct breathing, the core-body locks, or bandhas, and gazing point, or drishti. The goal is for each participant to establish an Ashtanga practice of their own, and a basic understanding of the Ashtanga system. Both weekend sessions include time for questions and discussion. Please attend both weekend sessions if you plan to attend the included four weeks of classes. To ensure individual attention, enrollment in the workshop is limited. Early enrollment is strongly recommended. Enrollment is online (visit this page) or by cash or check at the school during class hours. Upon enrollment, an email confirmation is sent. Note: Workshop fee will not be prorated for missed sessions. Participation in the first two sessions is required for those wishing to attend the four weeks of classes. 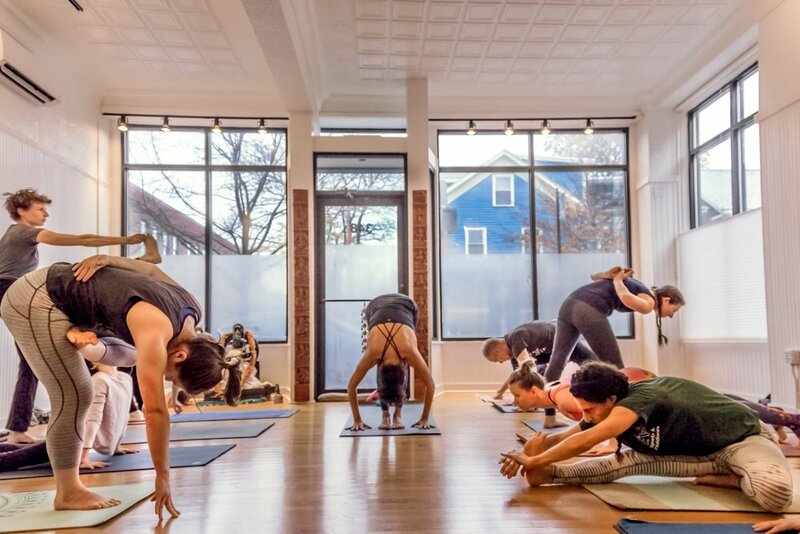 Try a week of Mysore-style classes for just $50!